Step 1: Go to the store. I like to go to a deli that is close to my apartment, the proximity is key seeing as how I don’t own a car, don’t have a license, and don’t know how to drive. Step 2: Purchase a forty. 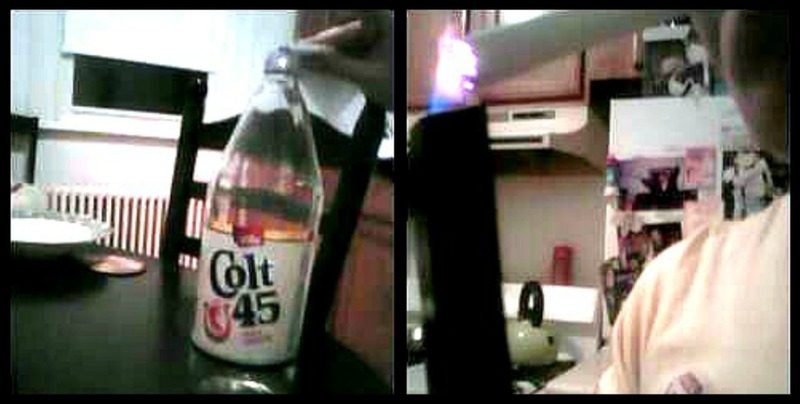 I like Colt 45, but Mickey’s is especially dear to me. Also, Hurricane is good. Step 3: Go home and drink the forty. Step 4: Get cigarettes. I am smoking Pall Mall Lights because I used to smoke Parliament Lights and Pall Mall Lights are like Parliaments for poor people. Step 5: Light cigarette. I used a barbecue lighter because I don’t know where my actual lighters or matches went. You can also use the stove or toaster. Step 6: Flick ash into empty forty. Congratulations! You just made your very own ashtray!